Our Festival needs you to expand and involve more and more people in enjoying science wonders. Please, send us your proposal by 21th February 2019! 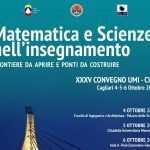 The Eleventh Edition of Cagliari FestivalScienza will take place in Cagliari from 7th to 12th November 2019. The Festival main goal is to involve the general public, but especially young people, in discovering the wonders and pleasures of scientific knowledge by encouraging its visitors to participate and play an active role in the variety of engaging events proposed. lectures in Italian or English exploring the theme Future Science. Presentation of scientific educational books. Morning meetings with experts, especially dedicated to young people who will have the chance of discussing about current themes related to science and technology. Round tables to debate global issues like environment, new technologies, the new frontiers of science. Exhibitions/Exhibits with a didactic, scientific, artistic, and interactive content. 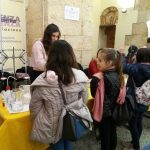 Workshops where visitors can observe scientific equipment or experimental demonstrations with scientific animators or carry out experiments by themselves guided by experts. Reading sessions and workshops on science-related themes. Science-related shows: theatre performances incorporating digital media, concerts, film season, jugglery, talk shows, etc. Animations and games to help children explore scientific phenomena and laws. To submit your proposal, you must complete the application form in all its parts. Incomplete proposals and those with unclear descriptions will not be taken into consideration. Any proposing subject can submit a maximum of two proposals. The deadline is 21th February 2019. By 10th of April 2019, you will be informed if your proposal has been accepted and listed in the Festival programme. Before accessing the system to fill in the application form, you must read and accept the participating conditions. Il Cagliari FestivalScienza collabora alla manifestazione "Villaggio dell'acqua" 2019.